he previously unknown ancient metropolis was unearthed in the course of the implementation of an urban transformation project initiated by Turkey’s Housing Development Administration’s (TOKİ) in Nevşehir province of Central Anatolia. 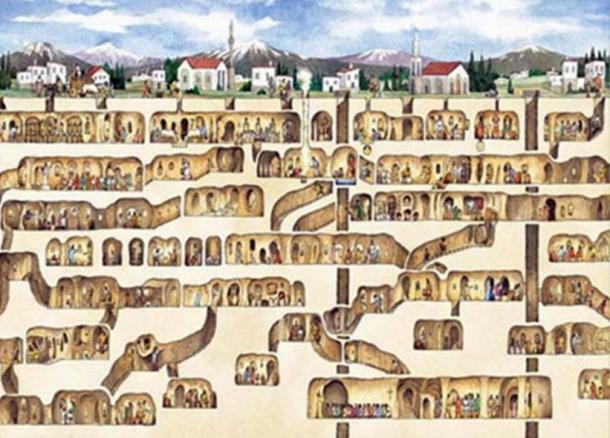 When the invaders came, Cappadocians knew where to hide: underground, in one of the 250 subterranean safe havens they had carved from pliable volcanic ash rock called tuff. 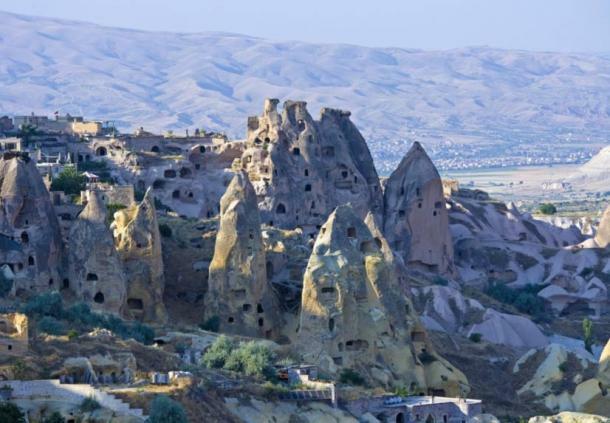 Now a housing construction project may have unearthed the biggest hiding place ever found in Cappadocia, a region of central Turkey famous for the otherworldly chimney houses, cave churches, and underground cities its residents carved for millennia. Discovered beneath a Byzantine-era hilltop castle in Nevşehir, the provincial capital, the site dates back at least to early Byzantine times. 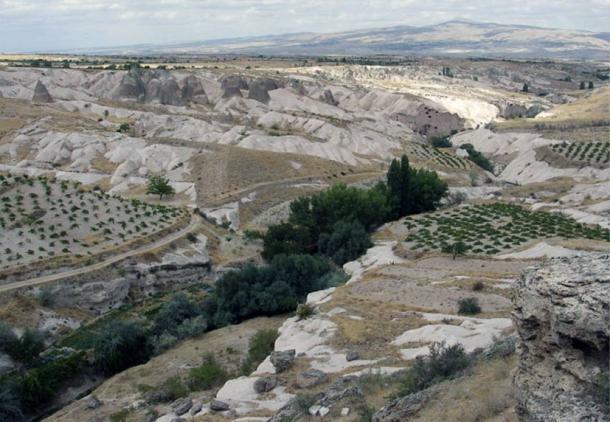 It is still largely unexplored, but initial studies suggest its size and features may rival those of Derinkuyu, the largest excavated underground city in Cappadocia, which could house 20,000 people. In 2014, those tunnels led scientists to discover a multilevel settlement of living spaces, kitchens, wineries, chapels, staircases, and bezirhane—linseed presses for producing lamp oil to light the underground city. Artifacts including grindstones, stone crosses, and ceramics indicate the city was in use from the Byzantine era through the Ottoman conquest. Like Derinkuyu, the site appears to have been a large, self-sustaining complex with air shafts and water channels. When danger loomed, Cappadocians retreated underground, blocked the access tunnels with round stone doors, and sealed themselves in with livestock and supplies until the threat passed. Cappadocia’s early adoption of Christianity—the apostle Paul arrived in the first century, and by the fourth its bishops were power players in the newly Christian Byzantine Empire—made it a safe haven during centuries of war for control of Anatolia. Muslim invaders arrived in the late eighth century, and centuries later came the Seljuk Turks. Eventually, Ottoman emperors ruled the entirety of Anatolia. Turkey’s Cappadocia region is famous for its subterranean safe houses carved from tuff—a light, porous rock composed of volcanic ash. Geophysicists from Nevşehir University conducted a systematic survey of a 1.5-mile (4-kilometer) area using geophysical resistivity and seismic tomography. From the 33 independent measurements they took, they estimate the site is nearly five million square feet (460,000 square meters). These studies suggest the underground corridors may plunge as deep as 371 feet (113 meters). If that turns out to be accurate, the city could be larger than Derinkuyu by a third.